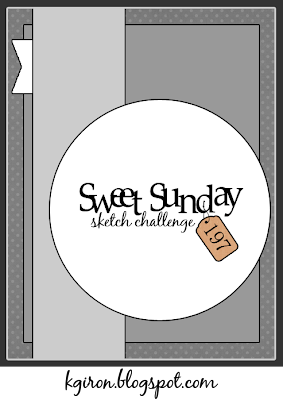 It's time for this week's Sweet Sunday Sketch Challenge, SSSC197. I created card #31 for Project Christmas 2013 using the new Cheerful Christmas Greetings stamp set from My Favorite Things, which will be available in the MFT Boutique on November 12th at 10pm EST. I started with a Primitive Cream card base then added a layer of the new Chocolate Brown card stock. It's a delish new colour, not quite as intense as Hot Fudge. 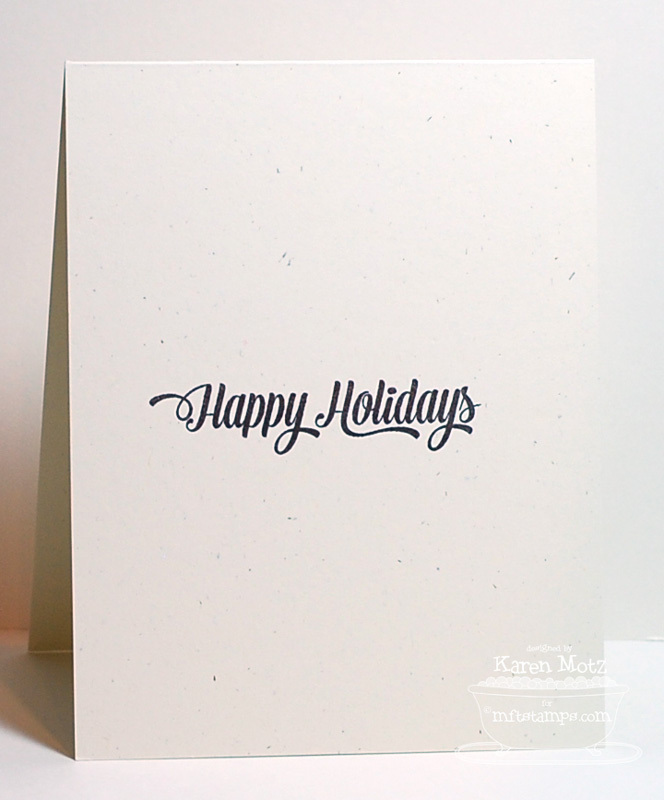 The patterned paper in the background is from the Echo Park Very Merry Christmas collection. I used the Pierced Circle STAX Die-namics to cut out the Primitive Cream circle and stamped the sentiment using Hot Fudge Premium Dye Ink. 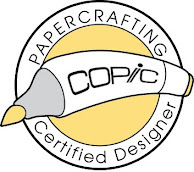 I used the Scallop Ribbon Die-namics to cut out the Wild Cherry scallop and added a half circle of corrugated cardboard for texture. I used the Circle 1 STAX Die-namics to cut out the Wild Cherry background circle. For the vertical element I chose a strip of Jellybean Green and used the new Striped Backgrounds, stamped with Jellybean Green Premium Dye Ink, for the diagonal lines. I used the Fishtail Flags STAX Die-namics to cut out the Wild Cherry flag and stitched it in place. On the inside I added another sentiment from Cheerful Christmas Greetings. Awesome card Karen, love the stitching! what a fun and festive card. love that circle element with the cardboard. Oh la la.....this is gorgeous Karen!! Love the festive papers and the corrugated cardboard and the stitching is perfect!! LOVE!!! The diagonal stripes are super cute! Love that little twist. Beautiful as ever, Karen! Wonderful Christmas card Karen! Such great details with the bling, corrugated paper and stitching. The corrugated really works to give dimension on this card. Brilliant! So fun and festive! Love the texture from the corrugated cardboard--looks great! I just LOVE this!!! 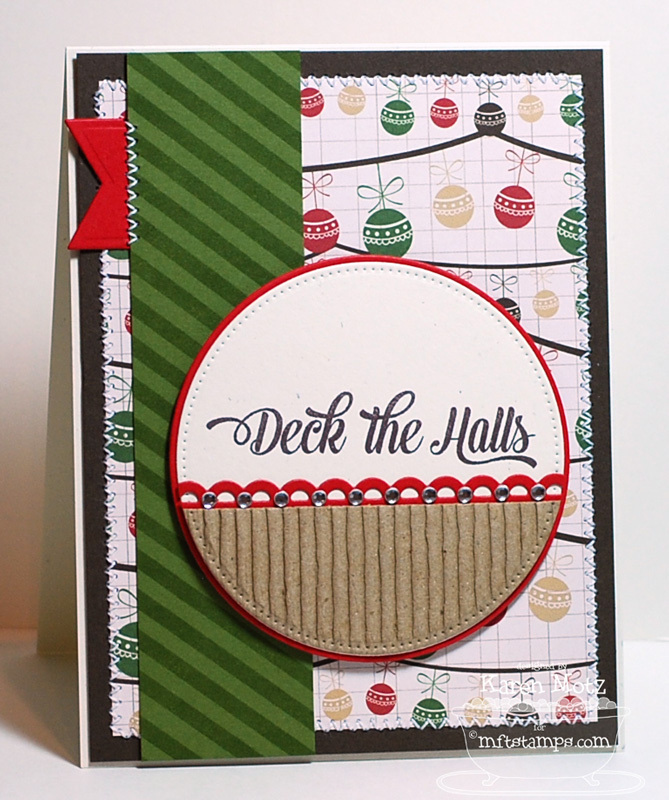 The sentiment panel with the corrugated bottom and the fabulous border is SO gorgeous! The bling is the perfect accent too!!! Well, what don't I love about this card?! 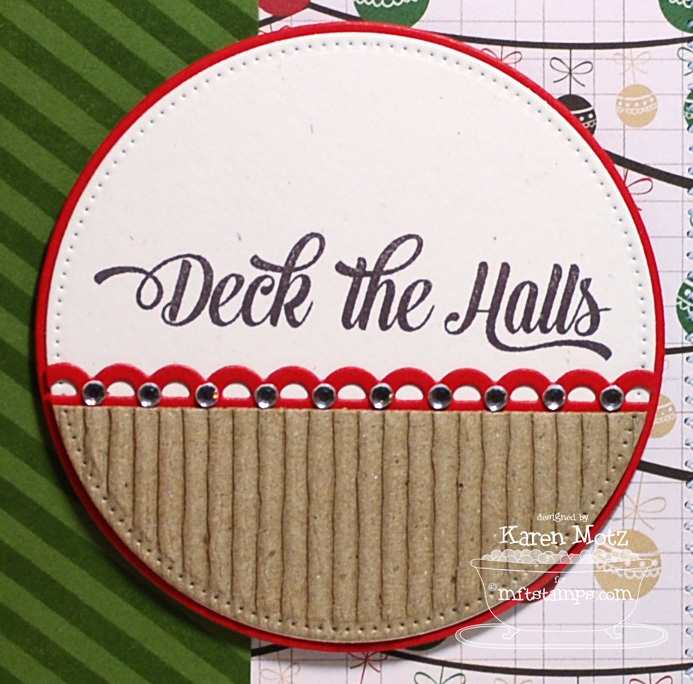 :) Love the pattern paper with the Christmas balls that ties into your sentiment "deck the halls" and then the circle element which looks like a christmas ball! It's a perfect festive card! MFT New Product Launch - it's time to shop! MFT November Release Countdown - 1 day left!